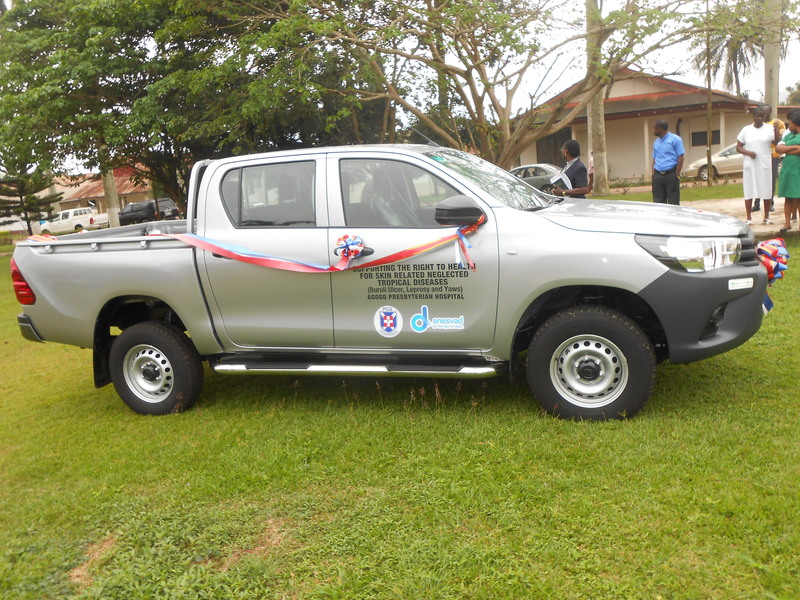 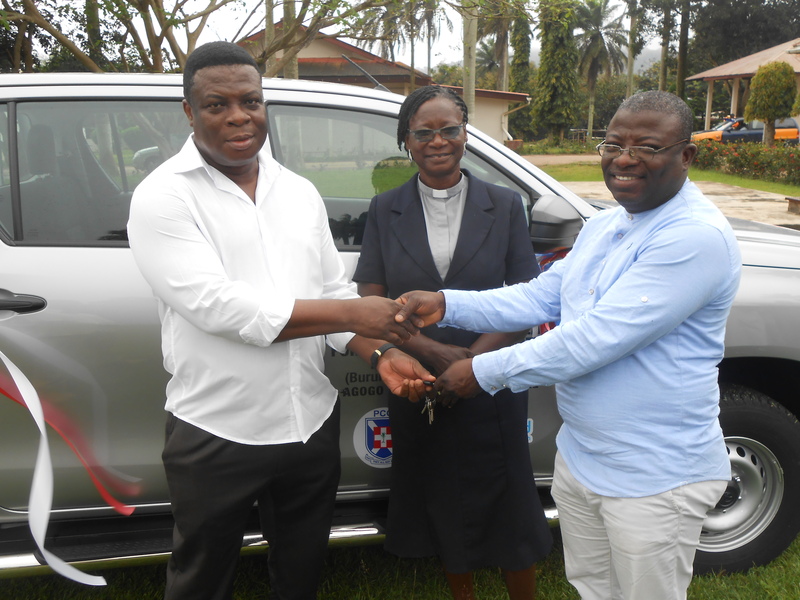 ANESVAD, a Spanish based NGO has donated a brand new Toyota Hilux DC (2018 model) worth one hundred and forty one thousand seven hundred and four Ghana Cedis thirty five pesewas (GHȼ141,704.35) to Presbyterian Hospital, Agogo, to support right to health (Neglected Tropical Diseases) project in Asante Akyem North and Sekyere Afram Plains districts in the Ashanti Region. 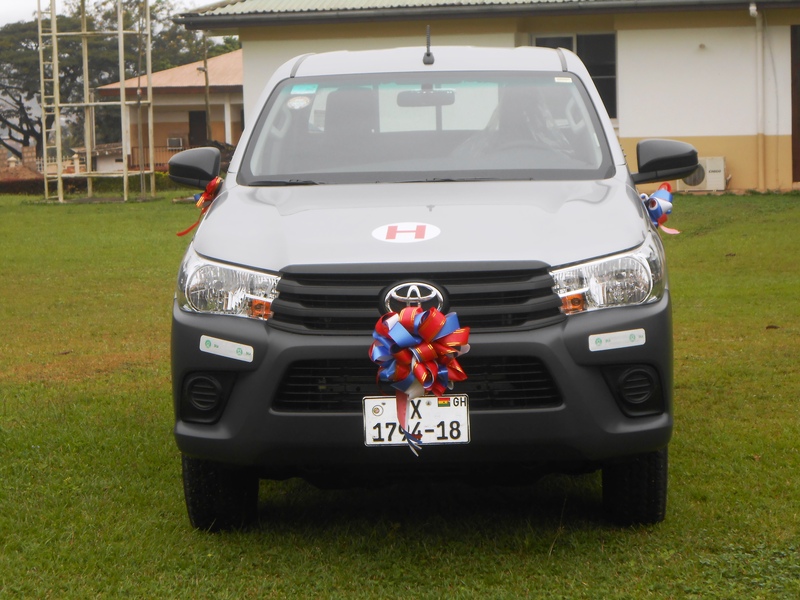 A colorful ceremony (which was well attended by management and staff) was organized on Friday, August 24, 2018, at the hospital durbar grounds to dedicate the vehicle. 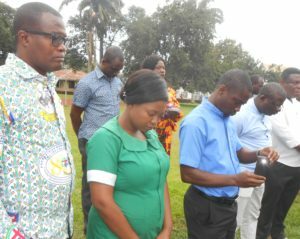 The Chaplain, Rev. Mavis Hannah Yeboah, led Management and some members of staff to give thanks to God Almighty. The Coordinator of the project, Mr. Abass Kabiru Mohammed who is also a Disease Control Officer of the hospital indicated that the project aimed at reducing morbidities associated with Neglected Tropical Diseases (NTDs) of the skin with emphasis on Buruli Ulcer, Leprosy and Yaws. 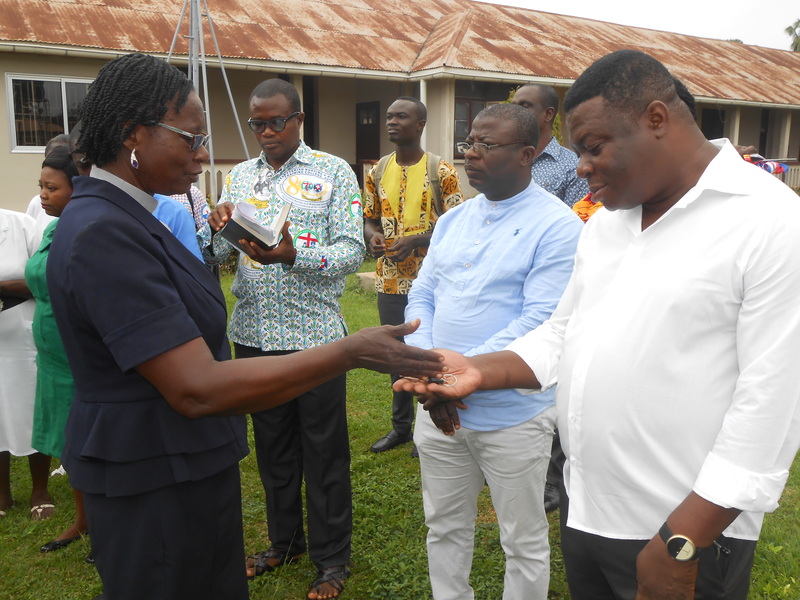 The Acting General Manager of the hospital, Dr. William N. A. Thompson in his remarks extended his appreciation to ANESVAD for making Agogo Hospital the coordinator of the two districts. 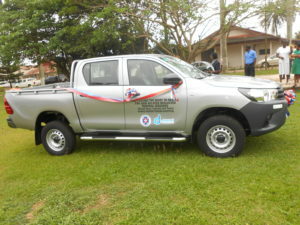 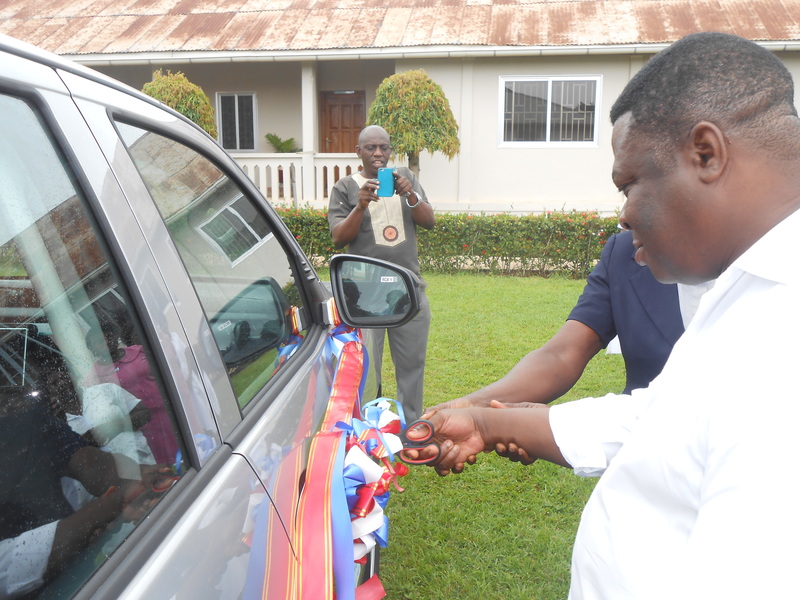 He reiterated that the vehicle would enable the hospital undertake vigorous community outreaches and sensitization in a bid to raise awareness and active case search of the diseases. He concluded that the hospital would adhere to effective maintenance schedules to ensure the longevity of the vehicle.